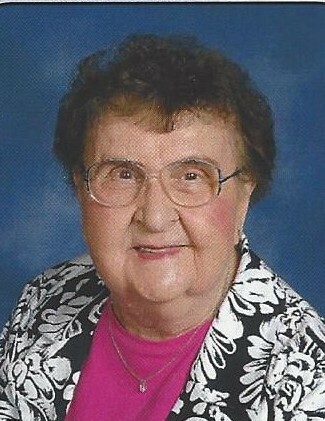 Alice Esko Maunu Toone 97, of Cloquet, passed away on April 7, 2018 at the Interfaith Care Center, Carlton, MN with her family by her side. She was born in Montana and her parents moved to Esko when she was quite young. In her childhood one of her tasks was to clean the blackboard erasers for her father John who was the janitor at the school. She played the violin in high school and loved to sing in the church choir. She was a graduate of Esko High School and Mom was proud of her Esko heritage. Her Grandfather Alex founded Esko and donated land for the Esko school and cooperative creamery. She was the last remaining descendant from her generation of the Esko/Maunu families. Over the years Alice worked at National Tea Grocery Store, Northwest Paper and RAM Insurance Company. Mom made the best Finnish rye bread and cinnamon rolls. She was a lifetime member of Our Saviors Lutheran Church. She especially loved to Square Dance, Knit, Sew, the beautiful sunshine, her cabin on Mudhen lake, and serving as a Hospital Volunteer. Mom loved visiting with all people and her sense of humor was appreciated by her family, friends, and caregivers. Alice is preceded in death by husbands; Fritz Maunu, Roy Toone, Parents and Siblings; Walter Esko (Sally) Howard Esko (Marian) Roy Esko (Harriet) John K. Esko Sylvia Juntunen (Otto), Edna Mattson (Eric) Myrtle Toone (Roy) Mabel Alexander (John) Betty Sullivan (Walt). She is survived by; Jackie (Mike) Hendricks, Phil (Nancy) Maunu, Jerry (Barb) Maunu, Roy (Leonette) Toone, and Jan (Dennis) Wolter, 14 Grandchildren: Patricia Skinner (Alan), Shawn Froom (Doug), Katie Callender (Tom), Daniel Hendricks Jr, (Cheryl) Margaret Knox (Dan), Kyle Maunu (Kate), Matthew Maunu (Amanda), Michelle Peterson (Ben), Stephanie DeHaven (Jeff), Tracy Toone, Roy Z.Toone (Candace), Jennifer Wolter, Jeff Wolter (Sarah), Ian Wolter (Janelle) 27 great grandchildren, 8 great great grandchildren. A visitation for Alice will begin on Tuesday, April 10, 2018 at 2:00 PM and continue until the 4:00 PM funeral service at Our Savior’s Lutheran Church, Cloquet, MN. Spring burial will be in Apostolic Cemetery, Esko, MN. Arrangements are by Souder-Handevidt Funeral and Cremation Service, Cloquet, MN.